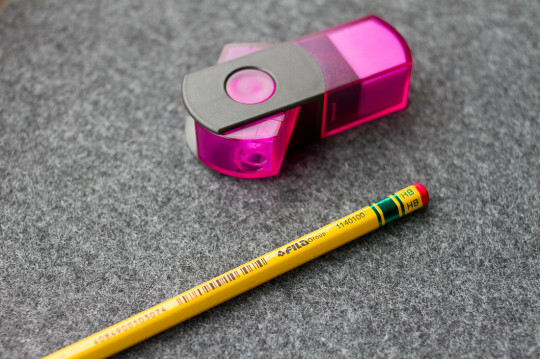 I guess I should stick to pencils, the clam clips blog post really wasn’t popular, so here’s a new blog posts about a pencil and a sharpener/eraser combo. The pencil side of today’s post is, to some extent, linked to an earlier blog post about the Amos Dixon Ticonderoga and to pencil talk’s blog post about Fila’s global pencils. I’ll be writing about Lyra’s Temagraph. The sharpener side of the post is linked to an earlier post about the Eisen 402. The Temagraph has been available for some time now, but in the past it was only available under the Fila brand name. You can see pictures of the old Fila Temagraph at Lápis and Pencils and at pencil talk. After Fila (Italy) bought Dixon (USA) and Lyra (Germany) they started ‘adjusting’ their products, including the Temagraph. The Temagraph suddenly started to look pretty much like the Dixon Ticonderoga (metallic green font on a yellow pencil) and is now marketed1 as a Lyra pencil, rather than as a Fila pencil. 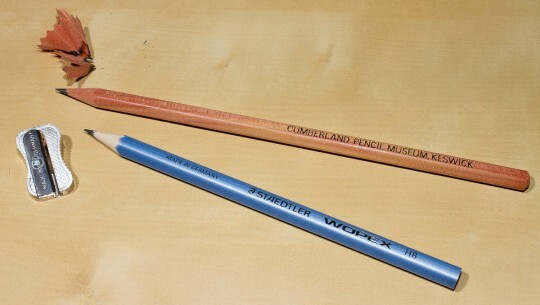 Two sides of the pencil are a labelled. The Temagraph side is labelled in metallic green. Opposite is the barcode side, labelled in black. The Temagraph has a end cap similar to the Noris, indicating lead hardness, but with a straight line around the corners. The FSC code on the packaging doesn’t leave any doubt about the Temagraph being linked to the Ticonderoga. The certificate is linked to the Beijing Fila Dixon Stationery Co., Ltd2 and shows that the pencil is made using Tilia spp., which includes many species of linden trees (also called lime trees or basswood). Even though it is officially a Lyra pencil (and Lyra is/was a German brand) I have never seen this pencil in any shop in Germany. It dos however seem to be more popular in Fila’s home country Italy. When looking for the Temagraph on Amazon UK I could only find Italian sellers offering this pencil. Mine are from a local shop in Germany. They didn’t stock any, but a few years ago I asked them to order a few for me. The Temagraph feels fairly smooth and puts down a very dark line. 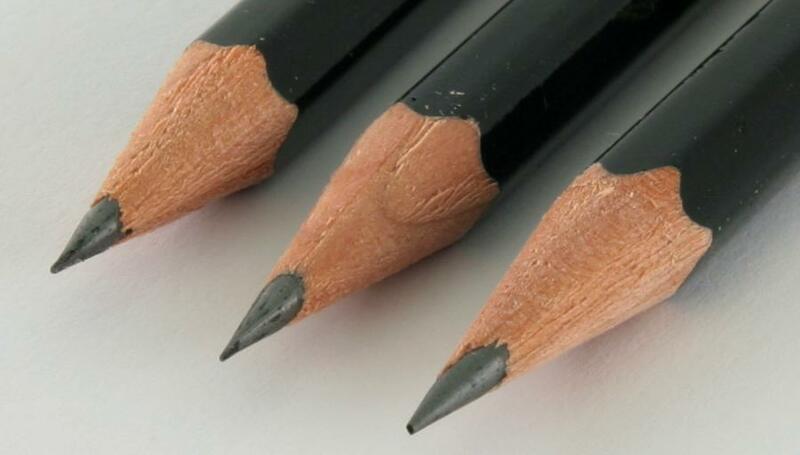 As you might have guessed from the fact that it’s a dark line – the lead rather soft, which means that point retention is not as good as it is with a normal pencil. In my case that means that I’m happy to use the Temagraph for writing the occaional sentence (think calendar entries), but I wouldn’t want to use it write a lot as it would need sharpening too often. I sharpened the Temagraph with Eisen’s model 480. The Eisen 480 sharpens with an angle of approx. 21°. 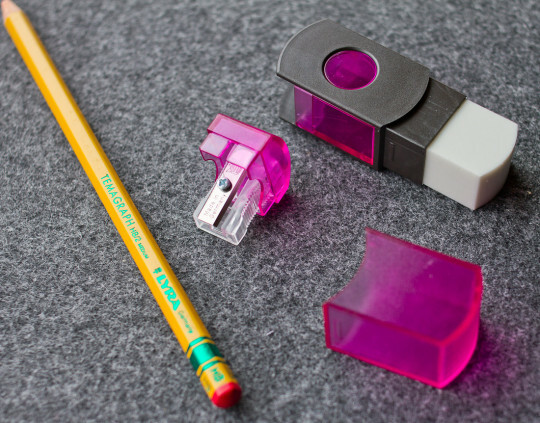 It’s a container sharpener that comes with an eraser, to some extent similar to the Faber-Castell Sharpener-eraser pen 18 44 01. The container for the shavings can be rotated and will lock in one of two positions: sharpener accessible and sharpener closed, to prevent shavings from falling out. The eraser comes with a lid and fits exactly under the lid. Eraser performance is good. It’s a TPR (thermoplastic rubber) eraser that produces strands that roll together, to some extent similar to a dust-free eraser, but not as extreme, but eraser performance overall is no match for the excellent performance of the sharpener, which produces a nice, continuous strand of shavings with a thickness of about 0.2 mm. The blade is made in Baiersdorf, the container is made in Taicang, where assembly takes place, and the eraser is bought in. You can find out more about the Temagraph at Lexikaliker. 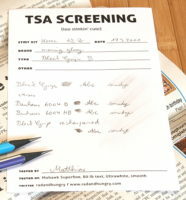 The grey background in the photos (except the last photo) is from Atoma’s Alain Bertreau notebook. I placed the items in the A4 version of this notebook. I bought the Temagraph in Germany, but can’t remember how much I paid for them. I have received the Eisen 480 as a free sample from Eisen. Mr. Leistner provided further information. I don’t believe that, when I received the sample, Eisen was aware that I have a blog. I also don’t believe that not having paid for this sharpener has influenced my opinion of the sharpener in any way. Thank you for the anniversary comments. I was hoping to get this blog post out by 21 November, the third birthday of this blog, but unfortunately I didn’t find the time. Anyway here’s the first blog post in the fourth year of Bleistift. 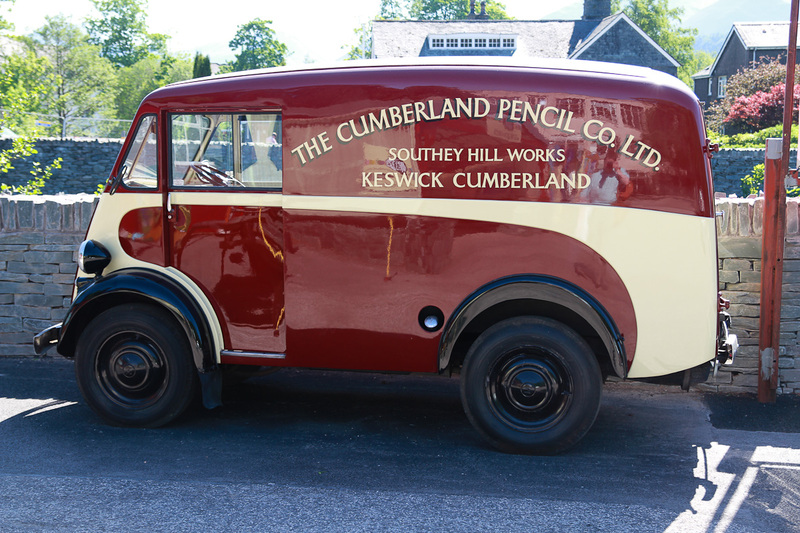 Considering that I don’t live too far away from the Cumberland Pencil Museum, both the Museum and I are in North West England, it took me quite a while to get there – but this May my wife and I finally made the trip. The weather was fantastic and the Museum managed to convey a lot of information despite being rather small. 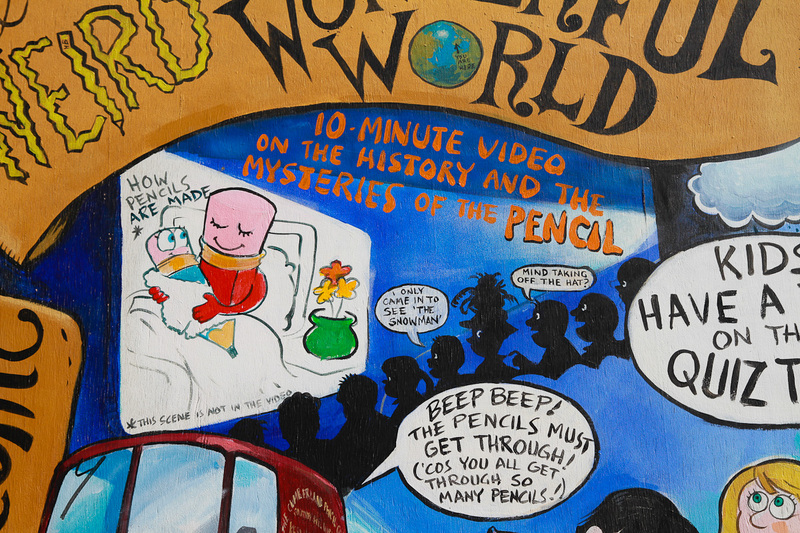 Admission is £4 (~$6.40; €4.95), but comes with a ‘free’ souvenir pencil. How pencils are made – temporary(?) mural outside the museum. Notice the “i” in weird. There were explanations how pencils are made and you could admire historic pens and pencil and machines. I will only show one photo from inside the museum as I haven’t asked whether they permit the posting of photos taken in the museum on the web. There was a pencil labelling machine, too, but unfortunately it was broken at the time …I would have really liked to get some personalised pencils. A subsequent enquiry regarding the pencil labelling machine was not as helpful as it could have been, so I decided not to chase this up further. Maybe the machine will work again if I go there again in the future. Obviously I couldn’t resist stocking up on pencils in the museum shop. The shop’s selection is aimed at artists, but if you use pencils for office purposes you’ll also find nice products. 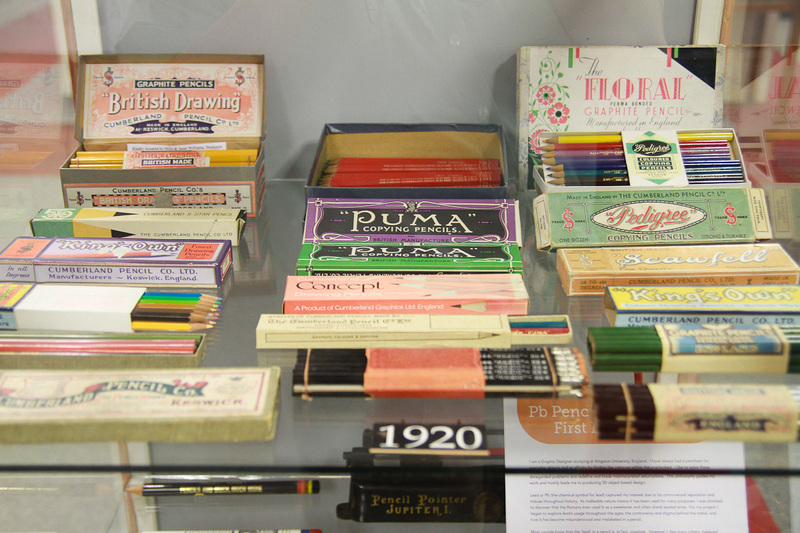 Pencils are from Derwent, who are running the museum, but you can find pencil related items from other brands. One of the products I picked up in the museum is the Eisen 0601. 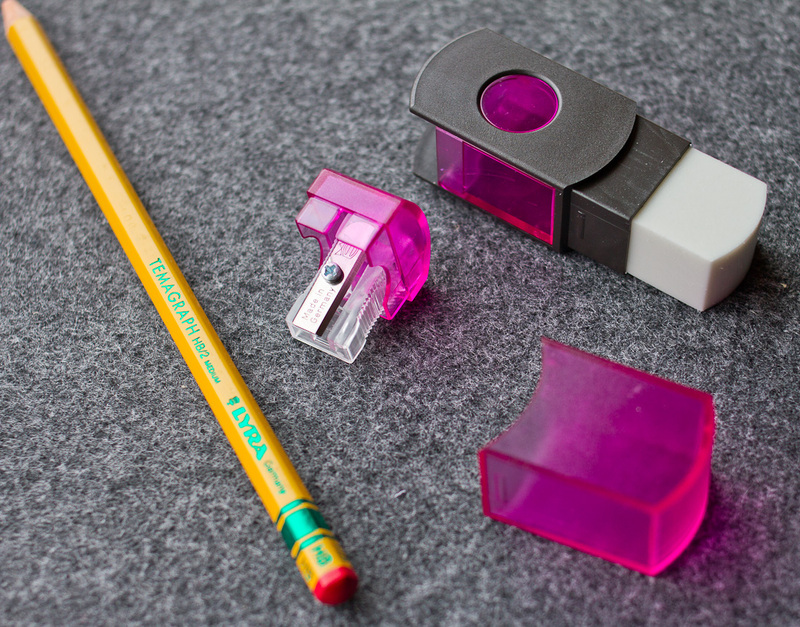 I like this sharpener because the rounded corners make it “different” while still maintaining the classic wedge shape look2. I paid £1 (~$1.60; €1.25). 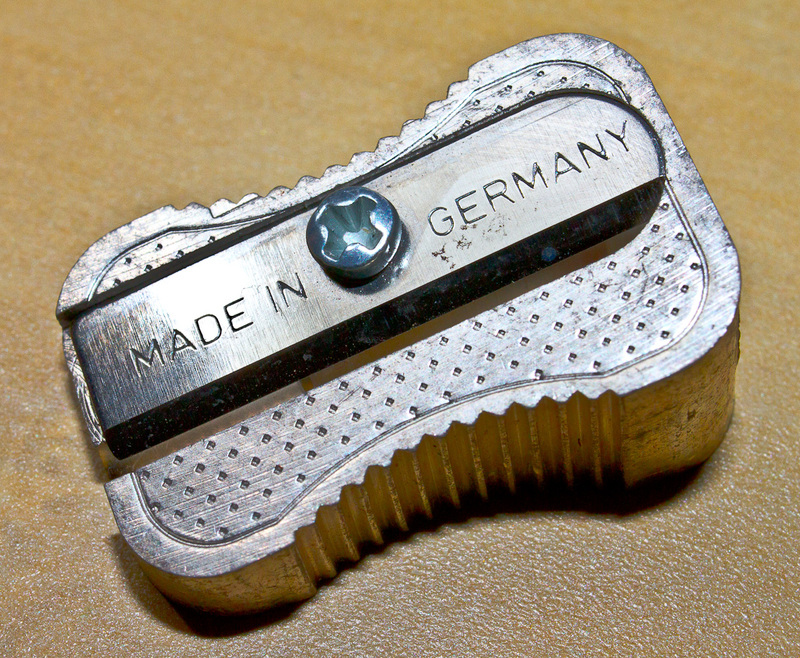 This sharpener’s body and blade were both made in Baiersdorf near Nuremberg. The 060’s produced in the last three years still feature the blade made in Baiersdorf, like all Eisen sharpeners, but the body is now made in Taicang near Shanghai. Performance of this little sharpener is very good, too. As this is a (belated) birthday blog post I am giving away an Eisen 060, some British-made Staedtler pencils and possible a few other small items I can find. I am happy to send the prizes to any country as long as Royal Mail doesn’t refuse to send them there. I will use random.org to get a random number and the author of the corresponding comment will get the price (unless I am the author or the comment is definitely spam). To take part please leave a comment for this blog post before Friday, 30th September 2011, 23:59 UTC. I would like to thank Stephan Eisen for providing additional information regarding the Eisen 060. This morning, I received Rad and Hungry‘s fourth stationery kit. You might have read about Rad and hungry before. 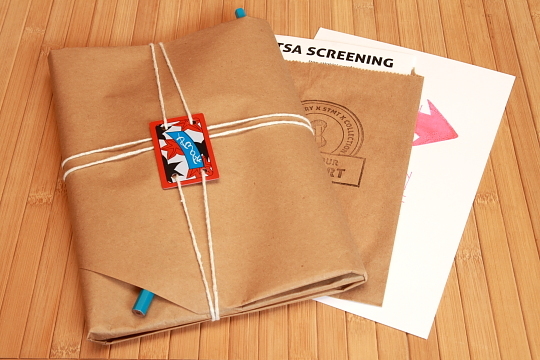 Quite a few blogs reported about Rad and hungry’s idea of a country-themed stationery kit you can subscribe to and some blogs reviewed the kits. The Pen Addict and Pencil Revolution even had a giveaway. Bleistift was one of the many lucky blogs that got the first kit, Colombia, free of charge. Unfortunately I never wrote a review. The kit arrived while I was in Shanghai and when I was back I was snowed under with work and the kit was snows of yesteryear (OK, I admit, it’s not funny and I shouldn’t mix contemporary and dated idioms 8^/ ), so I never reviewed it. I did however like it so much that I subscribed to these kits. Back to the parcel I received this morning, it was the fourth kit, Korea-themed. I do like Korea (even though I have never been there) and listen regularly to the German Service of South Korea’s KBS World Radio on short wave. Their programme is very good and introduces Korea and life there from different angles and on different levels. 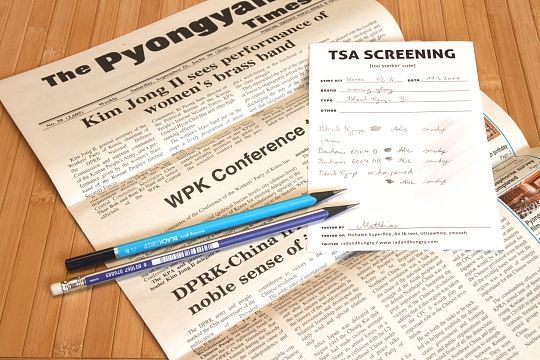 North Korea has a similar service, Voice of Korea – from the Radio TV broadcasting committee of the DPRK in Pyongyang. I really like the music the Voice of Korea plays. The Pochonbo Electronic Ensemble is so plasticy, it’s just great. It sounds very much like the background music from the video game Puzzle Bobble (Bust-a-Move in the USA). I think there is no need to describe what kind of non-music content you can expect to hear from North Korea’s international broadcasting service. Suffice to say that I do not listen to the North regularly – but their music is really nice. Oh, that was off topic. Let’s talk about pencils again. The Korean kit was $26 (~ £ 16.20, € 18.70) including shipping1 . One of the pencils in this kit is the Morning Glory Black Grip in B, which I examined a bit closer. The Black Grip is very similar to the Bauhaus 6004. Both have a triangular barrel, both are black wood pencils, both are from Korean companies, both are made in China, but the Black Grip does not come with an eraser. I assume the Black Grip is made by Marco, but I cannot be 100% sure. Other pencils similar to these two include the Rhodia pencil, reviewed at Lung Sketching Scrolls and pencil talk. Rhodia’s pencil is made in China, too. The way the ferrule is clinched in exactly the same way as the Bauhaus 6004 makes me think that this is another pencil manufactured by Marco, but it has a smoother lead than the Black Grip or the 6004. Two other, similar pencils, probably from the same factory are two “non black wood pencils”, the Marco 9001, reviewed at woodclinched, and the pencil’s from Eisen‘s fusion line, which are – in some markets – distributed by Lyra. Stop the press! Supreme leader sees performance of women’s brass band! Conclusion: The kit is very nice. 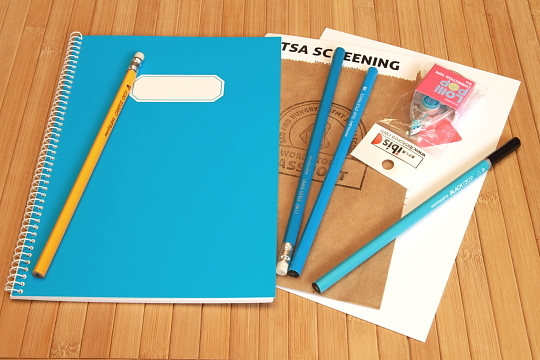 Other items included in this kit, except the Black Grip, are more pencils, a note pad and a correction tape as well as some comments from the trip and some paper to test the items on, all wrapped up very nicely. The Morning Glory Black Grip itself is a nice every day pencil, there is no point in comparing it to some top of the line pencils, but it certainly does a good job. I would like to thank Kent for the Bauhaus 6004. You can find a review of Rad and Hungry’s Colombian kit at Notebook love Pen and Lung Sketching Scrolls. You can find a review of Rad and Hungry’s French kit at Okami Whatever. You can see a reception report to KBS World radio in the second picture of the ONLINE All Wood Marone review. You can find more Korea related blog posts at Bleistift by searching for Korea. The stationery cupboard, where my colleagues and I get our stationery supplies from, did have pencil sharpeners in the past. I am not sure why there are none left, but I assume it is because most colleagues, especially most support staff, use Paper Mate Non-Stop pencils. 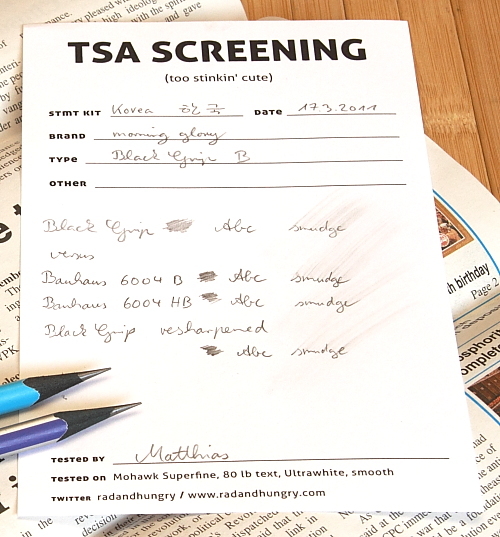 The Non-Stop is basically a SharpWriter with tip and eraser in black for the European market, or possibly for all markets outside North America. First released in 1984 the SharpWriter / Non-Stop is a disposable mechanical pencil, made in USA. You can even refill it, if you want. Unlike some other disposable mechanical pencils it is possible to refill leads when you remove the eraser. To advance the lead you twist the tip and – very positive for a cheap pencil – the lead is cushioned which should be good news for users who use more pressure when writing than I do. But back to the pencil sharpeners… They were all the same type, had a cylinder shaped plastic container and were available in many colours. At the bottom of the plastic container you could see the wording “Made in Germany”. Some of the sharpeners had plain blades without any writing on them, some1 had “Made in Germany” and a lower case e with a crown on top written on the blade. After looking at different manufacturers’ web sites I found that this sharpener is Model 402 from Eisen2, a company manufacturing pencil sharpeners since 1921. 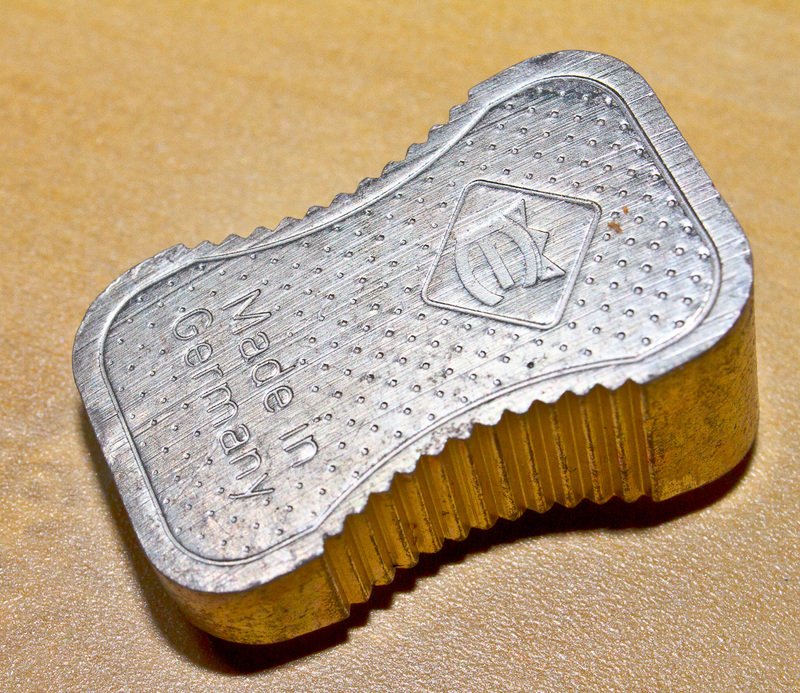 Like nearly all other German manufacturers in the pencil and sharpener industry (e.g. Faber-Castell, Staedtler, Schwan Stabilo, Lyra, KUM or Möbius+Ruppert) Eisen is from Franconia, an area slightly smaller than Massachusetts. Other information and figures I found about Eisen is sometimes contradicting, but apparently they have 60 employees in their Franconian factory and produce 200 million steel blades annually. In 2003 Eisen established its own factory in Taicang3 near Shanghai, and production of the cheaper sharpeners was moved there while the production of more expensive sharpeners for cosmetic pencils is still taking place in the original factory in Baiersdorf. The factory in Baiersdorf is managed by Christian Eisen and the factory in Taicang by Stephan Eisen, both descendants of Christian Eisen, the founder of Eisen Metallwarenfabrik. Altogether, there are 150 employees in both factories, producing 60 – 80 million sharpeners annually. Lyra, recently acquired by the FILA group, just started distributing Eisen sharpeners in the German-speaking countries, but I am not sure about the distribution of Eisen sharpeners in the rest of the world. 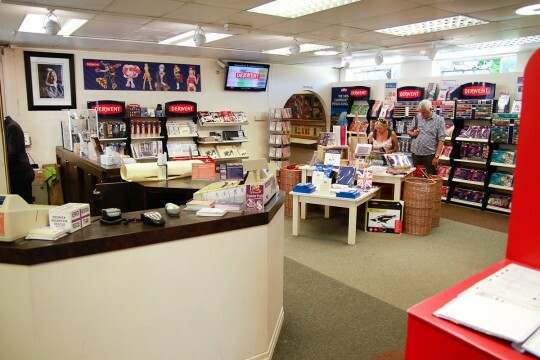 They were available in the UK, probably through Impega4, a supplier of stationery for companies. What is so special about the Model 402, you might ask. The answer is that it is a fantastic sharpener, somewhere between a traditional sharpener and a long point . Sharpening with the Eisen 402 produces a point as smooth as one produced by Möbius+Ruppert’s grenade or by KUM’s Automatic Long Point 2M. Even sharpening “difficult” pencils, like the Dong-A Fable, is no problem with the 402. When I tried to sharpen the Fable with a hardly used KUM 400-5L the lead broke every single time, with the Eisen 402 I managed to produce a great point first time trying, even though I have been using it irregularly for years and with the same blade. I noticed that my yellow 402, which has an unmarked blade, is not as smooth as the blue one, which has the Eisen logo and Made in Germany written on the blade. It could be that the unmarked blades are worse, but the yellow 402 was in my office and saw much more use than its blue colleague, so I blame the slightly worse performance of the unmarked blade on the fact that the marked blade had not been used so often. The Eisen 402 is certainly a great sharpener. It outperforms my KUM Streamline Chrome Canister Sharpener 460S and my KUM Long Point 400-5L. The only shame is that it seems to be difficult to get hold of an Eisen 402. I would like to thank Kent for the Dong-A Fable pencils used in the comparison of different sharpeners. Kent explained me that Dong-A is one of the oldest pencil manufacturers in Korea and that Fable is a relatively new model from Dong-A. There is a video, produced for local TV stations, with more information about Eisen at Wirtschaftstreff Bayern. Unfortunately it is only available in German and the exact link is changing every month. The video with information about Eisen is from 23 October 2009. 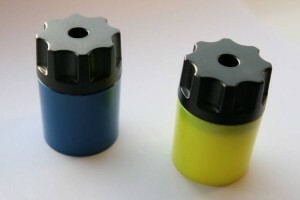 You can find a review of the Kum Automatic Longpoint Sharpener at pencil talk. Lexikaliker has a review of Möbius+Ruppert’s grenade (Google Translation).